User-generated content and learning management systems—can the two concepts be integrated? How does user-generated content work for employee training? The following is an overview of what user-generated content is, how it can be integrated with a learning management system, and its potential role in corporate and employee training. User-generated content or user-created content is in many ways as simple as it sounds. It’s created by any user of a certain system, and then it’s available publicly on that utilized system. You can think about the marketing done by companies on social media. They may ask for users to submit their Instagram photos of themselves using a certain product, or the company might ask for various comments on social media. User-generated content can be used in news, entertainment, advertising, and marketing. You can also think about popular sites like Reddit, which is entirely based on user-generated content. User-generated content, at least in marketing, is a powerful tool. 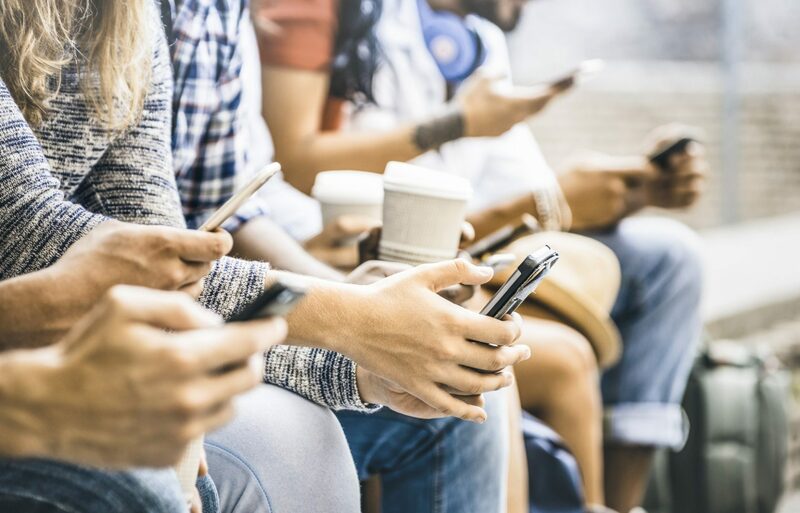 According to research, 86% of Millennials believe user-generated content or UGC is a good indicator of the quality of a brand, and 68% of people using social media between the ages of 18 and 24 to take into consideration information shared on social media. So what is it about UGC that’s so powerful in marketing? First, in the fast-paced, social media-driven world we live in, brands and businesses have to keep pace with the needs, wants and demands of their customers, and UGC makes the customer the central focus. Audiences tend not to trust salespeople or marketers anymore, and UGC cuts through that and audiences feel that there is more transparency and authenticity in this kind of content. Most consumers would prefer to buy from a company they see as authentic as compared to their competitor. Consumers also want to have a human-like connection with the companies they’re buying from, and they want to buy from companies that represent their values. So, while there are benefits of user-generated content in marketing and advertising, can these concepts carry over to employee training? If so, how can user-generated content be integrated into training delivered through a learning management system? The idea of user-generated content paired with learning management systems is one that can work well. According to research from Gartner, by this year more than 80 percent of organizations are expected to include user-generated content as part of a corporate learning strategy. User-generated content helps training and learning keep pace with rapidly changing environments. Since the employees are in the driver’s seat with this type of content, it’s very relevant and up-to-the-moment. User-generated content can include timely issues, or concerns employees are facing at that moment. Learner engagement is one of the biggest challenges most organizations face when it comes to training. There isn’t enough focus on how learners are interacting with content, and that’s why information retention rates aren’t what businesses want them to be. It can be boring for learners to feel like they’re responsible for learning all this content, without an interactive element. When employees are interacting with content, it can feel more relevant to them, and they feel like they have more control over their experience. Simply put, using UGC saves money for organizations. Much like marketing, you’re relying on your learners to in many ways train themselves and one another, and the learning management system is just the medium that allows that to happen. Employees like the feeling that they’re sharing knowledge, and they like to be recognized for what they know. UGC allows for that. In the process, it’s reinforcing the concepts they’re sharing with other employees. So how can you include user-generated content in employee training, and more specifically training completed in a learning management system? First and foremost, for any organization that truly wants to include UGC in employee training, it has to be done through a centralized system, and in most cases, this is going to be a learning management system. With a learning management system, there is a way for everyone to go to the same place and share content, questions and communicate with one another. The learning management system needs to be user-friendly and intuitive, and there need to be easy opportunities for employees to create content. There should also be a strong technical support element to the learning management system. When you’re letting your employees share content, there are some challenges to be aware of, however. First, you may find that employees are sharing content that isn’t accurate. That’s one of the biggest problems of user-generated content, and it’s not exclusive to employee training. Create a standardized system for vetting content generated by system users, and make sure that there is monitoring going on to deal with anything inaccurate that might be shared. It’s a good idea to create content guidelines before encouraging employees to share knowledge and information. There’s also the issue of content being inappropriate. This is less of a problem in employee training as compared to marketing or advertising, but still, employees need to be well aware of what the standards are for sharing. Two of the places you can start small with UGC included in your learning management system are forums, and videos or images. First, with forums, everyone can come together and ask questions and then get answers to those questions. This helps employees play around with the knowledge they’ve received in training, in a way that’s going to help it resonate more them over the long-term. With photos and videos, employees can be encouraged to share images and recordings they capture while on the job, which could highlight challenges they’ve faced, just as an example. These are simple concepts you can start with as you build on ideas of UGC in employee training. These are elements that can easily be included in a learning management system, and from that starting point, you can work toward creating more opportunities for employees to generate training content.